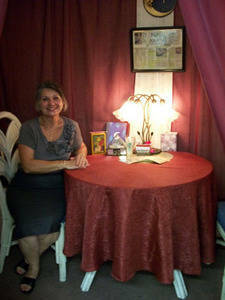 Palm, Tarot, psychic, spiritual balancing, spiritual cleansing by world renowned psychic Louise. 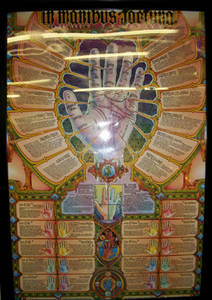 Your future lies in the palm of your hand or the cards you are dealt. And your own psychic abilities that we all have but you do not acknowledge. That is where I come in. Guaranteed to reunite loved ones or life the negativity. 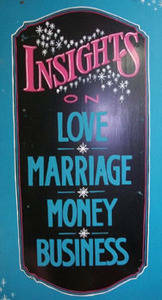 Positive direction whether it lies in your career, marriage, business, relocating, education or finances. Louise releases the past, balances the present and cautiously predicts the future. Is your relationship love or lust? Is your relationship based on stability or security? Is your loved one controlling of you or concerned for you? Does your relationship have happiness or hostility? Is it compatibility or just convenient at the time? Abusive or appreciative? Are you tired of pushing the ball up hill and ready for a flat road to opportunity? The dooes that have been closed around you will be open through Louise’s God-gifted and Heaven-sent powers. By her message to you whatever may be holding you back shall be analyzed and released. 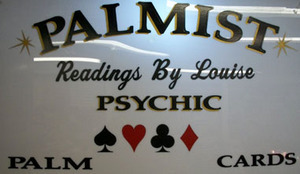 Are you ready to open your eyes and change your life tremendously and spiritually all by the gift from God that has been entrusted with psychic Louis? If so, call now and get your direct line to your future. 386-734-3095 or 386-801-0835. Psychic Louise is anxious to help and heal those that are capable of helping themselves. 2 Locations: Deland and Daytona Flea & Farmer’s Market. 40 years of experience and 25 years in the same location!